How Does a Busy High-Schooler Find Time to Volunteer?! NOTE: As parents who volunteer, we are hopeful that our children will also dedicate time to their communities in the future. But how does that look through the eyes of our children? We’ve asked a talented teen, Ava Morouse, to help us understand an early dedication to service through her unfiltered lens in a series of posts. Hello, everyone! My name is Ava Morouse, and I am a rising senior at Laguna Blanca High School. For my first article, I was posed the question, How does a busy high-schooler find time to volunteer? So, here I am, writing to let you know my answer. My junior year has now come to a close, and I am finding myself agreeing with the claim of past students that junior year, in fact, is the toughest of high school. That being said, I told myself at the beginning of this school year that I would make time for the things in my life that meant the most, and one of those is service. I love volunteering, and I have ever since. 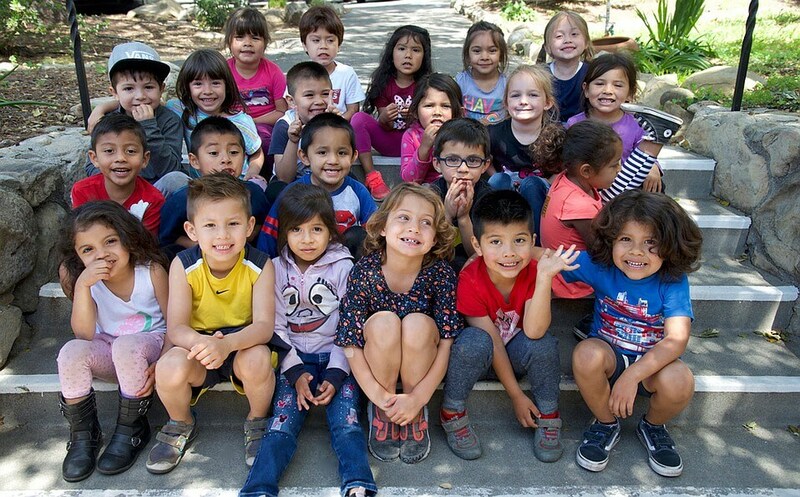 Last summer, I was asked to lead a service-oriented club at my school dedicated to working closely with Storyteller Children’s Center: a preschool for homeless and at-risk children in Santa Barbara. Storyteller provides children with care and support while additionally encouraging learning and growth, and is an amazing resource in our community for many. Having been a member of our school’s chapter of the club previously, I was familiar with Storyteller and supported them and all that they did. So, I said yes, and began my role as a spokesperson for Storyteller at Laguna Blanca, and will continue to do so this next school year. So, how do I have time to volunteer? Well, all I can say is that I simply love it. I love helping others, because it provides me with a feeling unlike anything else. So I make time for it– whenever possible. I find places in the communities in my life– school, church, camp– in which there are volunteer opportunities, whatever they may be. Within my church, I found the opportunity to work with kids once a month, which brings me so much joy, and is such a simple act of service. 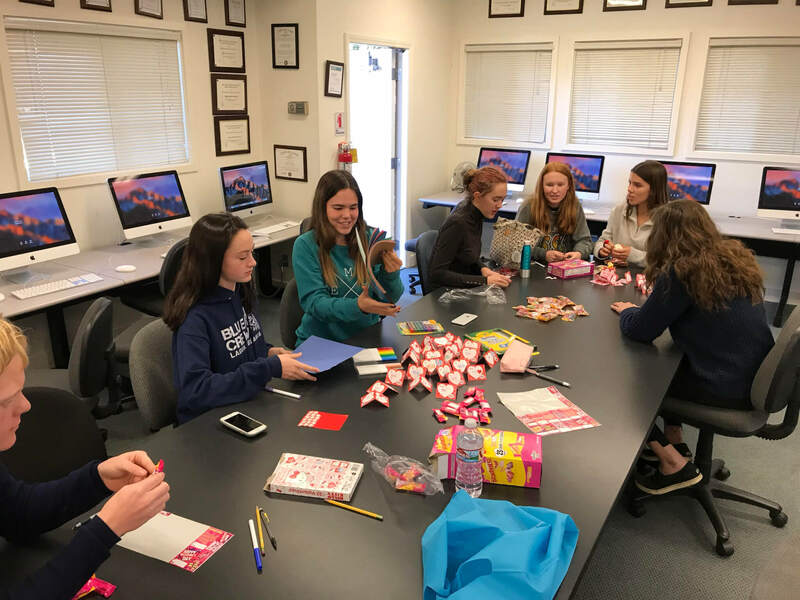 Volunteering through clubs at school has also been an incredible learning experience in regards to learning how to lead a group and communicate with organizations. My parents modeled for me what it meant to have a heart of service. They taught me that giving back is essential, and that through service can come a fulfilled heart. I found my first outlet of volunteering through my church’s nursery, and then, because of that, found a passion for working with children through service. I love volunteering, because it makes me feel like a part of something larger than myself, and it creates opportunities for growth and meaningful relationships. So, to anyone reading this, find your communities and add to them through service. Ask where you can enrich these communities, these places, that you been a part of. And, I can almost guarantee that not only will your appreciation for the community be enriched, but you will find your meaningful connections and relationships within it, which makes everything worth it. Volunteerism: Why is volunteering declining in America? Ava, we thank you for your dedication toward our children at Storyteller Children’s Center. Volunteering with our students has many benefits for the children, the volunteer, and our community. We believe that junior high and high school students should become active and help those in our community, who are in need. We welcome volunteers who want to make a change in the lives of our at-risk children in Santa Barbara County! Thank you, Donna! I am so grateful to have had the opportunity to connect with our community through Storyteller, and I look forward to continuing to volunteer and serve in the future. What a thoughtful and well written post. Thank you, Ava, for sharing your experience! I think it’s amazing that you saw your parents give back and took that to heart. It sounds like your work with Storyteller is very important and is enriching your community! A special thank you to Julie for having Ava tell your readers her story!